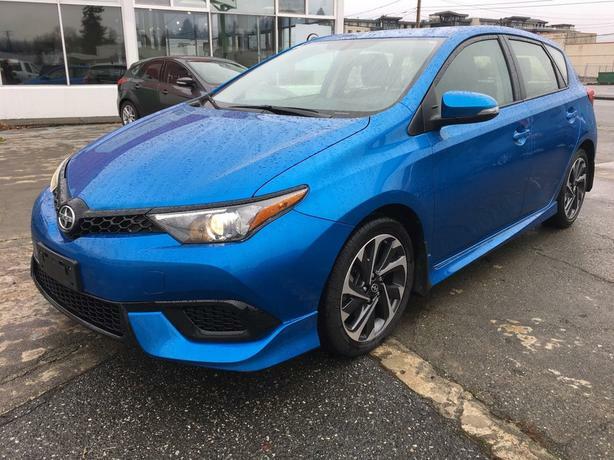 Sporty, fuel efficient, and spacious this hatchback has everything you need. With PW, PDL, PM, Tilt, Cruise and Bluetooth it has all the necessary options. With a nice set of aluminum alloy wheels and a speedy blue colour this is sure to turn some heads. Made by Toyota so you know it's a good quality vehicle that will last a long time. This is the perfect car for zipping around in the city or for those long commutes down or up island. We are Campbell Rivers newest used car dealer and we can get you approved whether you have good credit, bad credit or no credit at all. All of our vehicles pass a full safety inspection performed by licensed technicians before being placed on our lot so you can buy with confidence when you shop with us.